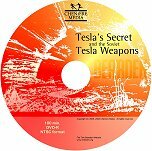 1988 lecture and slide show on Soviet-era Tesla Weapons. Tom Bearden's most thorough treatment of a topic that remains relevant today. Yet another tour de force. Includes Parts 1 and 2. With illustrative slides. The companion book is Excalibur Briefing.